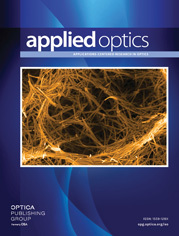 The authors are with the Department of Applied Physics, Osaka University, Suita, Osaka 565, Japan. A read-and-write, randomly accessible, multilayered optical memory with a Bi12SiO20 crystal as the medium is demonstrated. Data are recorded in the crystal as an absorption change that is due to the photochromic effect. These data are successfully recorded, read, and selectively erased in five layers in the crystal. The axial-separation distance between neighboring layers is 30 μm, and the lateral distance between bits is 5 μm. Selective bit erasure of the data is accomplished by illumination of the recorded bit datum with He–Ne laser light. To our knowledge, this is the first successful demonstration of the selective optical erasure of the photochromic effect in a BSO crystal.